Watch our free Brexit webinar to discover the key steps you need to take to support EU-national staff. 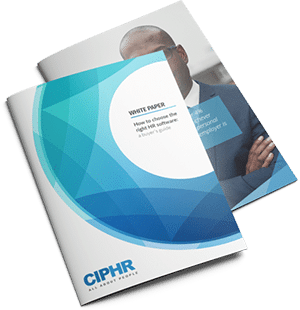 Want to learn more about how CIPHR’s HR system can help you with Brexit? OR call 01628 814242 to speak to a member of the CIPHR team now. David: Hello, everyone, and thank you for joining us for today’s webinar about the key steps that employers and HR teams should be taking with their EU staff in relation to Brexit. My name is David Richter, I’m the head of marketing at CIPHR. For those of you who don’t know CIPHR, we provide SaaS HR and recruitment systems that help SMEs to recruit, engage, retain, and manage their workforce across the whole employee life cycle. Our customers range in size from around 100 employees into the tens of thousands of employees, and operate in the private, public and nonprofit sectors. Within our HR system, there’s a number of reports that help organisations to identify the employees who will be impacted by Brexit. In one of our case studies with one of our customers, Zoopla, they were able to run a report the day of the referendum results to provide information about their EU nationals to their board. By being able to quickly determine which employees were going to be affected, Zoopla were then able to support them in a variety of ways, ultimately, helping to retain and engage their employees that have been affected. So I’m very grateful to be joined by Tom Bradford who is a partner at Free Solicitors. I saw Tom deliver a presentation a few weeks ago on this subject, and I found it particularly informative. And I expect you’re gonna take a lot away from his talk today. So Tom, over to you. Tom: Thanks very much, David, and good afternoon, everyone. It’s great to have the opportunity to present to you today. I’ll start with a brief introduction, a bit about my background. As David says, I’m a partner at Freeths, the law firm. I qualified as a barrister and worked at the home office before starting in private practice. The focus of my work is providing immigration legal advice and support to businesses and their HR teams. And the focus of today’s presentation is going to be on HR teams and Brexit planning and, as it says, the steps you can take now that we’re one year out from Brexit. So I intend that you’ll come away with three key points, action points that you can take, and those are points which many of my clients have implemented successfully. So we’re gonna start with the time frames, just to refresh our memory and to bring you up to speed. The referendum was on the 23rd of June, 2016, article 50 was triggered on the 29th of March, 2017. And it’s two years from that date that we’ll be coming to the 29th of March, 2019, and that is exit day, that is when Brexit is taking place. Of course, after that, we will have the introduction of a new immigration system. And, in the last fortnight, the provisional agreement has been arrived at between the UK and EU in respect of the transition period. And it seems that the length of the transition period is going to be up until the 31st of December 2020. So it’s helpful to think of Brexit and to deal with Brexit planning in three stages. We have the pre-Brexit period, that we’re still in now, the transition period, otherwise called the implementation period, and the start of the new immigration system. And we need to think about each of these three time periods in dealing with our Brexit planning. Now the starting point in relation to EU Nationals is that they’re not currently subject to immigration control. So there are various bases on which they can be in the UK, and I’ll deal with them shortly, but we currently have over three million EU nationals within the UK. But, after Brexit, they will all have to apply for new immigration status documents, and that’s gonna be the focus of what we’re gonna look at. So any who do not apply by the end of the transition period, will be staying in the UK unlawfully. And that’s the harsh and rather drastic consequence of Brexit for them. And from an HR perspective, there’s exposure there because if the correct steps aren’t taken and the correct documents aren’t obtained for your EU staff, then there’s the risk of your business receiving a statutory penalty of up to £20,000 per worker, plus, potentially, criminal sanctions, depending on what the HR team knows. So it’s in light of this that Brexit planning is necessary. Now, of course, this has caused real anxiety to EU staff. And it remains unclear how the Home Office is going to process so many applications, given that over three million people are going to apply. So I’ve heard on some estimates by academics, it could take as long as 15 years just to process the applications, if the current application systems were used. So the question is, what can you do now to support your EU staff and to plan EU staffing for the future? Let’s start with the current legal structures and the current legal position. So through the UK’s withdrawal from the EU, the UK is also withdrawing from the single market. So, currently, the UK sits within the EU countries set out here and also within the European Economic Area. As a single market and the European Economic Area also includes the European Free Trade area states: Norway, Iceland, and Liechtenstein. Had to be magnified here because it’s a micro state. And [inaudible 00:06:03]. So, those are the broader economic structures and the structures from which the UK is withdrawing and with which a new relationship needs to be negotiated. Now, this informs us in terms of where we are currently with EU citizens in the UK and EU staff. Within the single market, the treaty permits free movement of goods, services, capital, and people. And in relation to the free movement of people, this means the free movement of workers, the self-employed students who have insurance, and people who are financially self-sufficient, again, who have insurance as comprehensive sickness insurance. So there’s a socioeconomic basis for these rights. Free movement, in this sense, isn’t entirely free. It’s only if you have a certain economic status that you can be in the UK. And to illustrate this, I’m just going to highlight what the typical trajectory is for an EU citizen in the UK. I’m using EU and EEA interchangeably for these purposes. So this is a Spanish national who starts in the UK in year one. He, in this case, has an initial three-months residence, so that’s an unfettered right to reside in the UK for three months without restrictions. After that point, he can stay for five years in the UK, doing qualifying activities, and that’s one of the kinds that I’ve listed. So, as a worker studying self-sufficient…or as a student. So, for our purposes, HR purposes, it’s as a worker. So this individual can stay up to year five and, at the point of year five, reaching year five, he secures the right to remain in the UK permanently. That’s a permanent residence, and there’s then no restrictions on his stay. Now, year after that, he can qualify to naturalise as a British citizen. So that’s one year after permanent residence has been accrued. Now, what you’ll find is that your EU staff, or other EU nationals you may encounter, will be at one stage of this trajectory, the six-year trajectory. Not everyone will want to necessarily naturalise as a British citizens but they will be at one point in this overall trajectory. So the same applies in respect of an EU spouse, have the same rights, and at year five, the EU spouse will accrue the rights to reside permanently and will be able to naturalise one year afterwards. So to come to the crux of this, what do your EU staff need to do? Well, what the EU national needs to do depends on whether they’re here before or after the 29th of March, 2019. Those here, before that date, can remain until they apply for settled status. So here I’m going to give an example. So this is a Greek national, and this is perhaps an example which will cover most of your EU staff, and three examples I’m gonna give will cover everyone. But this may be the most common. This person, this employee has been here for five years in the UK while working. And remember, here, we have the three phases, the pre-Brexit period we’re in now, the transition period, and the new immigration system. Now, the government recognises that, given this real difficulty about processing so many applications, it wants to open a new application route, before Brexit, at some point this year. And that’s a route that will enable people to apply for settled status in the UK, even before Brexit, so they can get on, basically, with processing the applications. Now, this new application route isn’t open yet, it should be open, as I understand, around September of this year. But when that route opens, this person will be able to apply for settled status. It’s not mandatory yet, so this is a voluntary route. And if we move on, it will be mandatory to apply, the settled status, at the end of the transition period. So that’s the 31st of December, 2020. And if he doesn’t apply, then he will be overstaying in the UK. And if he’s working, still working for the employer, at that point, then the employer will be subject to a statutory penalty. Now, you will have in place, within your HR teams and your businesses, Right to Work procedures, whereby when someone commences employment, they provide documents to prove they have the right to work in the UK. In the case of EU Nationals, they most commonly provide a copy of their EU passport. Now, that’s sufficient to establish a statutory excuse, and what that means is, essentially, the government accepts that there may be rare cases where a document is a forgery or where someone loses their right to work because their status changes. The position on Right to Work checks is, as long as you’ve carried out the checks, if that person turns out to be illegal and working illegally, there won’t be a statutory penalty. However, that won’t apply to EU workers, businesses, and you will be expected to know about the position and have taken steps to ensure that your EU staff are working legally. So if you haven’t done that, sadly, I think that there will be a group, it’s likely there will be a group of people who will either make no application or, more likely, have to make the wrong application. And I’m [inaudible 00:12:58] some different applications that you can make. I’ve put this as a threatening-looking red arrow but, unfortunately, the consequence of Brexit is that there will be people who will be caught out [inaudible 00:13:12] overstay, and businesses who are employing them could be caught out if they haven’t taken the right steps. So to move on then to the next example, this example I’ve started with is someone who’s been here for five years, in the UK, and is entitled to remain here permanently and has to get documents to confirm that settled status. This next example is a French national who’s been here for four years, so has not been able to acquire the five years to secure the right to permanent residence. What’s the position with them? Well, they can’t, this individual cannot use the voluntary route that’s opening up later this year. As far as we can see, this is only in respect to those who are entitled to settled status. So they won’t benefit from the voluntary application route but they will have the ability to stay for an additional year to accrue the full five years for settled status. At this point, it will still be voluntary, they won’t have to apply for their settled-status documents. But again, it will become mandatory after the 31st of December, 2020. And the same consequences I mentioned will follow if they get it wrong. Next example is of this Austrian national who’s been here for two years. Now, in this case, not only will they not be able to apply under this new application route but they also won’t be able to apply within the transition period. They will only accrue their full five years after the transition period. So what’s the position there? Well, the answer is, when we come to the 31st of December 2020, they must apply to bridge, that period, for a temporary residence document. Then, when they get to the five-year point, they’ll be able to apply for settled status. Now, these three examples that I’ve given you will cover all of your current EU staff. So either they will have been here for five years or they will not. And for those who will not have been in the UK for five years, either they’ll be able to accrue that five years within the transition period or they won’t, as in this last example, they’ll need that additional year also afterwards to get to the five-year point. So those three examples were intended to cover all of your current staff, they will fall within one of those three categories. But what about those arriving in the UK after Brexit? Well, the answer is, for those, they must apply for a temporary residence permit as the current position. So to deal with this Greek national, they arrive after the specified date, which is Brexit, 29th of March, 2019. The idea is that they will be able to stay for three months, but after this, they must register. And if not, then the consequence could be that they will be overstaying. So what this highlights is that not only are there potential consequences for the business from a Right to Work perspective, after the transition [inaudible 00:16:48], was that those EU staff were not already in the UK, who come after Brexit, will be able to stay for different periods subject to whether they are low or high skilled workers. So two years, in the case of a low-skilled worker, and three to five years, in the case of a high-skilled worker. Many of you may be familiar in the tier-two skilled worker context, perhaps if you’ve been dealing with sponsor licenses, with the standard occupational codes. Those classification codes set out all of the eligible categories of skilled work under which non-EU nationals are entitled to enter the UK if they’re sponsored. A similar categorisation will be operating possibly during the transition period, but most certainly, after the introduction of the new immigration system, once that’s finalised. So I think that’s really a potential concern to employers because it means that the scopes that you have for recruiting EU workers may be restricted. It also may mean that there’s disincentives for EU workers to work in the UK, and so there’s a potential retention issue as well. Now what about those arriving after the transition period? We’ve dealt with those already in the UK and those coming within the transition period. What about the position after that? Well, it’s this. Again, to use the example of the Greek national who comes to the UK after implementation, so after the transition period, again, you have this potential distinction in terms of low and high skilled labour and how long they can stay in the UK accordingly. But one of the proposals, which is very much live at the moment, is that they will need to apply for sponsorship. So just as you now, as a business, need a sponsor license to do international recruitment, outside of the EU, it may be the case that you’ll need a sponsor license to recruit EU workers as well. 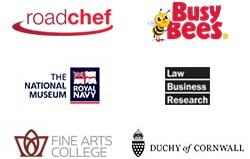 If you don’t have a sponsor license, you won’t necessarily appreciate what’s involved, but the idea behind this scheme is that the Home Office’s regulatory duties, to manage immigration control and border risk, are effectively delegated to chosen sponsors, and the Home Office does its due diligence on prospective sponsors. And the chosen sponsors will then have the ability to assign certificates to prospective migrants, and in doing so, their visa is as good as granted. So it’s a role that involves quite substantial regulatory duties and associated risks, and that’s going to be a very big deal, if I can put it that way, for international recruitment and HR, if you’ll need a sponsor license to be able to recruit EU nationals, as well as non-EU. So what should EU staff do now? And many of you may have been approached by EU staff, wondering what to do. In some cases, you may have very highly-valued EU staff, you may have, depending on the sector you’re in, many low-skilled EU staff. There are many aspects of our economy that depend on low-skilled EU labour, and, also, our high-skilled EU labour in many, if not all, sectors. So the government’s messaging has been inconsistent on what they should do, and it puts the HR function in a very difficult position in advising. So one message, which you may see on the Home Office’s website, is you don’t need to do anything because, as I’ve set out, current EU staff will be able to stay and apply the settled status. It’s also said that this settled status application route will be a straightforward one, so that there’s really no need to do anything now. Now, the other message that’s been put forward, which is recorded in the first round of negotiations between the EU and UK, is that it would be easier for EU nationals to apply now to document their rights so that when this new system comes in, they can swap over their existing documents for the new documents. Now, those positions, I find impossible to reconcile. They’re simply not consistent. The reality is this, EU workers have existing current rights which are automatic in nature. For example, if they have been here for five years, they will have an automatic right to remain in the UK permanently. They don’t receive a letter when they get to the five-year point setting all of this out, and they don’t formally need any documents to prove it. But, given that we’re in a situation in which there may not be a final deal on Brexit and the terms of the deal are uncertain, there’s only been a provisional agreement on citizens rights and the transition period, it is the safest course to document their existing right. This is advisable, both in principle and as a matter of expediency. It will be easy for them to swap out their existing documents for the new. But, very importantly, the test that’s applied for settled status may be a more difficult test to satisfy than the test that’s applied now for permanent residence. For example, it’s unclear, from what the government said, whether or not you’ll need to be in the UK at the point of Brexit and whether the five years will be counted back from the 29th of March for five years in assessing whether you’ve been in the UK for five years and whether the continuity of your stay has been broken. So it’s advisable, on several grounds, for your EU staff to apply now, to document their existing EU rights, and then to take further steps once the new application routes are implemented for settled status. So here are the options, on this new slide I’ve just clicked into. If they’ve been here for five years, they can apply for a permanent residence certificate, a permanent residence card. If they’ve been here for less than five years, they apply for registration certificate that confirms that they’re exercising treaty rights in the UK. And what I’d say, in terms of the three points, to conclude for three steps you can take, number one, it’s engaging with EU staff to make sure that they are thinking about this and that they’re going to make the correct application. If they don’t do that, then they could lose their right to work and your business could be exposed to a penalty after the transition period. There’s different ways of doing that, and, of course, one has to be proportionate. Many of you may be in very large organisations. What we’re providing with support of CIPHR is different levels of service. So the first one is effectively an employee-benefit idea where you can offer an advice line. The second idea is that you can offer a presentation, along the lines that I’ve given presentations to clients that are then followed up with one-to-one consultations with EU staff. And the third variant is, as I’ve done recently for a UK manufacturer, is to make applications and for the employer to fund those applications for all EU staff, so they are, you know, fully documented and that they can simply then swap out their EU documents for the new settled status documents when they come in. That’s the safest approach. But, as I say, one has to calibrate the response to the number of EU staff you have and the level of concern and the size of your HR team. And the third step I think I would highlight is sponsor-license compliance. So it’s important, if you already have a sponsor license, you’ll know the importance of complying with the regulatory reporting and record-keeping duties. The sponsor license may very soon become vital for your business, from the perspective of recruiting not just internationally but also EU staff. So with those concluding remarks, I will finish there. I’ve put my contact details there. And, David, would this be a good juncture for any questions? Tom: Yeah, sure. So let’s just go back a few slides. So I’ll just go through that. So that’s a very understandable question. So you can see, in this example, this French national does not qualify for permanent residence because they’ve only been in the UK for four years. So, in this example, they will need to stay for an additional year past the transition period, which they’re entitled to do. At the five-year point, they will not necessarily have an EU right to permanent residence but they will be able to apply for settled status. So, for a person in that position, they ought to be applying to document their existing rights, and that would be applying for a registration certificate to confirm that they’re exercising treaty rights in the UK as a worker. But, over and above that, they will not be able to get their permanent residence confirmed until they reach the point at which they can apply to settled status. Tom: Yeah. So the answer to that is almost certainly yes. So the right-to-work checks that you may have already conducted on your EU staff are confirming their EU rights. And so, those rights will effectively be lost once we leave the EU and the transition period concludes. So it’s gonna be important that you ensure that your EU staff make the correct application and then that their new documents are recorded fresh. That’s gonna mean fresh right-to-work checks for EU staff. Tom: Yeah. So in terms of whether you’ll need a sponsor license to recruit EU staff, it hasn’t been confirmed yet. But the government’s got a choice, either it can keep that regulatory function itself or it can basically outsource it to companies. And I think, given the choice in the current climate, it very much favors delegation of these public law duties. It’s very likely that, I think it’s likely that you will need a license to recruit EU staff. As for whether you’ll need different ones, so one for non-EU and one for EU, I expect that you will not, that you will just need one sponsor license. It will be the one that you apply for currently. It will simply be that there will be a new procedure for assigning certificates. So, a new effective [inaudible 00:31:06] within the sponsor-license system. Tom: Yeah, that’s an excellent question. So if you are outside of the UK for more than six months, as a general rule, then that will, generally, reset the five-year clock for the purposes of permanent residence. So that’s pre-Brexit. However, when you’re looking at what period to take, which five-year period to take for existing EU staff, there’s often some discretion involved. So if someone has been here, for example, since…your EU staff has been here since 2005, then it may be that you will have a choice as to which five-year period to pick. Are you going to pick 2005 to 2010, or 2010 to 2015? And it may be that there are less absences in one period than the other. And what’s unclear, at the moment, is whether for this new settled status you can pick different periods. I think you can’t. By the looks of it, you can’t. What they’re looking at is five years up to Brexit. Now, what that means is that there may be some people who have taken breaks, where they would be much better off applying for permanent residence now while they still can and then swapping out that document for a settled status document, rather than doing nothing, as the Home Office site tends to suggest, and really getting into difficulties if they’ve been absent for any significant period of time within the last, you know, immediate five years. David: Great stuff, thank you very much. I had a question from the audience about whether there are any template letters that you could recommend or that are available, that could be sent to affected staff or perhaps whether it’s better to take that on a case-by-case basis. Tom: Yeah, there are. Some of this is generic and some of it needs to be tailored to particular circumstances, but that’s definitely something I can provide. If you want to contact David or contact me, then my email address is here, tom.bradford@freeths.co.uk, and drop me an email and I can provide something along those lines. David: Great, thank you, Tom. And one final question, if that’s okay for you, Tom. You’ve got time? David: What evidence do staff need to show that they have been in the UK for five years and is employed for those five years, and would they, as an employer, need to see evidence of this? Tom: Yeah. So the first part of that, which evidence do you need, at the moment, the test is quite easy to satisfy. If you have five years of P60s, then that operates as evidence of residence in the UK and evidence you’ve been doing your qualifying activity. So five years of P60s is the most straightforward way to approach it. From a right-to-work perspective, what you need to see is the output of that, if you like, so the permanent residence card. At the moment, the EU passport will secure you a statutory excuse as a business. But, as I say, it’s as we approach Brexit that these new applications will be needed. So the underlying document, such as the P60s, which the person is using to support the application, aren’t really relevant from the employer’s perspective. But the employer will need to be satisfied that that person has secured the new status. David: Great stuff. Thank you very much. So that’s all the questions we’ve got time for now. So if you do have any more, after this presentation, please do email them through to Tom. Thank you all for attending, I hope you found it useful. And again, a huge thank you, Tom, for your excellent presentation. Tom: That’s a pleasure. Thanks for the opportunity, David. David: Not at all. Thank you.